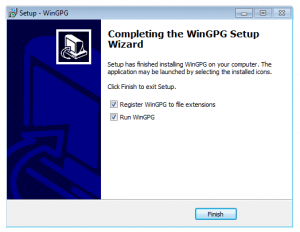 WinGPG is a tray-based classical Windows application, Windows NT Explorer shell extension, and a classic GPGv2 distribution. 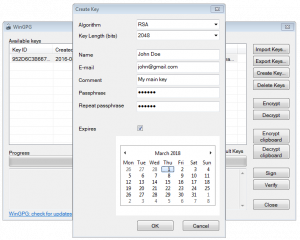 Secure your data with our simple encryption tool. Modern business life puts the issues of confidential information protection to the top of importance list. Processing documents and other files without encryption could endanger your company’s and even your personal security. Encryption software is becoming a must for protecting either your privacy or your business. We are a business and happy to share with you an encryption tool developed by us – WinGPG. Secure your files against unwanted tampering. Let no one jeopardize your privacy. 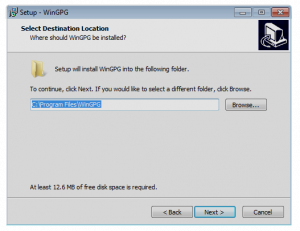 Protect your data with WinGPG by Scand. Encrypt your documents with pleasure. Decrypt them easy. Secure your messaging. Encrypted files are automatically zipped and ready for transmission. Sign out your documents. Verify signed files sent to you. Make sure the recipient gets the information he is intended to. No costs. Source included. Get our code and gain confidence in a full package. No additional certification, no undemanded updates, classic Windows interface. Though clipboard support, context menus, hotkeys are integrated. Is GPG code secure enough? WinGPG sure is. Being a ‘shell’ for original GPG makes it your must-have protection tool. 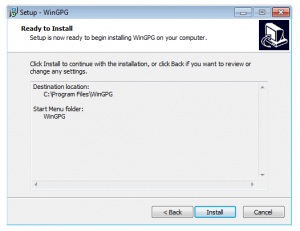 WinGPG has two versions: Windows-based setup and a portable version. For both versions, the user guide is the same; but the installation differs a bit. Just click on “Register” button. It means that WinGPG is ready. 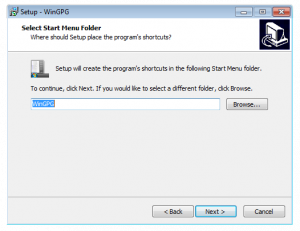 This is the main WinGPG window. 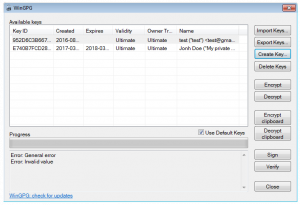 In case you already have used GPG-based software before, your keys will be imported automatically; otherwise, there will be an empty list. Click on “Import Keys” if you have some. Locate them in the open dialog, select and click on ‘Open’ button. 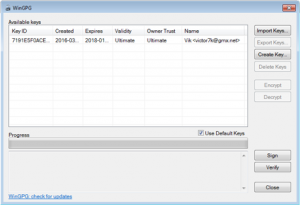 The GPG key will be imported into the system. Use right-click in the list for the selected key and then use “Set as default” menu point. Do not forget to check “Use default keys” option below the key list as displayed. Great, now you have everything configured. 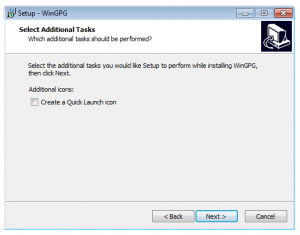 Do not forget to import all known public keys into WinGPG system, you might need as many keys as you have recipients. So you need to select your private key, push to “Export Keys” button, and in the opened pull-down menu specify the output file name and specify “public keys” option. Now you’re ready to import/export files and texts and send it to your contact persons. 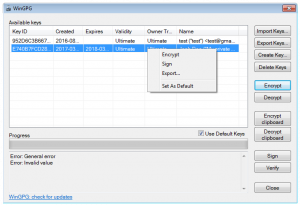 Every time you want to send encrypted data for somebody, select their public keys from the list (multiple selections allowed). Do not forget to add yourself if you want to read back your encrypted texts. Encryption does not need anything, decryption needs your private key and might ask for the password for your key. Hope this HOWTO was useful for you. All you need is to download ZIP archive: 32bit/64bit, unpack it and call for setup.bat file. This version is portable so all your keys will be held in the same folder as you unpacked the version. Standard version uses your \Users\foo folder as other GPG-based application does. 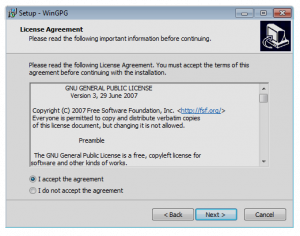 As WinGPG is an open source utility, here you can download the source code. Scand is providing a full range of custom software development services. We develop software for dozens of clients world-wide, and we would be glad to do this for you. You are welcome to submit your project/product request using our contact form. We will contact you shortly to clarify all requirements. Hopefully, you will enjoy using our product. Feel free to submit your feedback, comments or ideas to wingpg@scand.com.